A lot owner from NSW has a question about concrete cancer and informing all lot owners. Tyrone Shandiman, Strata Insurance Solutions and Rod Smith, The Strata Collective provide the following response. Question: When it comes to informing lot owners about concrete cancer, when does the executive committee cease to act in good faith for all owners and not just a few of the executive committee? I am the treasurer of a small block with a potential for concrete Cancer. The other office bearers wish to only advise the executive committee and defer any further investigation for 4 years, and not advise the external owners at this time. My Question is when does the executive committee cease to act in good faith for all owners and not just a few of the executive committee? Answer: Concrete cancer is classed as a building defect and therefore needs to be disclosed to insurers as part of the owners corporations Duty of Disclosure. TYRONE: In accordance with section 13 of the Insurance Contracts Act 1984 A contract of insurance is a contract based on the utmost good faith and there is implied in such a contract a provision requiring each party to it to act towards the other party, in respect of any matter arising under or in relation to it, with the utmost good faith. The duty of utmost good faith among other things requires an insured to disclose all information relevant to the insurer’s decision to accept the risk and this forms part of the insured’s responsibilities under their duty of disclosure. Concrete cancer is classed as a building defect and therefore needs to be disclosed to insurers as part of the owners corporations Duty of Disclosure. Failure to notify an insurer of a pre-existing defect such as concrete cancer may mean that in certain circumstances the Insurer is entitled to avoid the contract altogether or the Insurer may be entitled to reduce liability in respect of a claim to the amount that would place the insurer in a position in which the insurer would have been if the failure had not occurred or the misrepresentation had not been made. Each circumstance of disclosure will differ on a case by case basis depending on the circumstances and level of knowledge of the problem for example there is a vast difference between an owners corporation having a defect report which reports on defects like concrete cancer by a qualified professional and an owners corporation who may only suspect there is concrete cancer. It is always recommended when there are suspected defects to a property the owners seek advice from a qualified insurance professional. With your comment ‘the potential for Concrete Cancer’, how did the notification of potential concrete cancer occur? Has an expert reported on this item and has the urgency of any required rectifications been advised? Most good engineers will be able to provide a recommended timeframe to address any items that they inspect and report on. If a report was done, this should be placed on the owners corporation records. You as an owner are entitled to place a motion on the next General Meeting to raise this item with your fellow owners. The motion I would suggest is to arrange for a professional report to further investigate the concrete spalling including the recommended timeframe for repair. If such a report has already been arranged, the motion would be to undertake repairs on the concrete spalling as investigated. I hope this provides you with a few options to consider. Best of luck! This post appears in Strata News #195. November 2015 – This article about concrete cancer in strata schemes has been supplied by Tyrone Shandiman, Strata Insurance Solutions. This article has been written following a report from in the Courier Mail early 2015 which suggested there was an epidemic of concrete cancer in older buildings. Strata Insurance Solutions wanted to provide unit owners with more insight into how this matter is handled from an insurance perspective and also use the opportunity to warn bodies corporate not to bury their heads in the sand if they notice signs of concrete cancer. 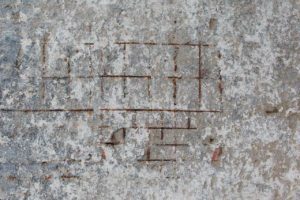 Rust stains coming from concrete is a telling sign of concrete cancer, particularly when it is coming from an area near cracked concrete. Concrete cancer is caused when steel embedded in concrete starts to rust. This then causes the steel to expand to up to three times its original volume & crack the concrete, exposing more of the steel and concrete to the elements. Once water penetrates through cracked cement it then rusts and the steel embedded deeper in the cement is then exposed repeating the process until the building becomes structurally unsound. There are suggestions some Bodies Corporate may be hiding telltale signs of concrete cancer by simply painting over the problem because they are afraid it will reduce the value of their properties. Ignoring concrete cancer only exacerbates the problem because the steel continues to expand and crack the cement, so buildings that are not willing to address the issue as soon as it is noticed are in for a raft of long-term pain. Concrete cancer is classed as a building defect and therefore needs to be disclosed to insurers as part of your Duty of Disclosure. Failure to notify an insurer of a preexisting defect such as concrete cancer may mean that in certain circumstances the Insurer is entitled to avoid the contract altogether. Or the Insurer may be entitled to reduce the liability in respect of a claim to the amount that would place the insurer in a position in which the insurer would have been if the failure had not occurred or the misrepresentation had not been made. “If a body corporate committee covers up or fails to disclose to an insurer the existence of concrete cancer and if, as a result of that, a claim on its insurance is denied, then potentially, the committee members may incur a liability for damages. The position varies slightly in each Australian jurisdiction. For example, in Queensland there is a statutory protection for committee members against civil liability provided the act or omission leading to the liability was done in good faith and without negligence. Where non-disclosure was deliberate, or even careless, that protection may not be available. The solution is to avoid risk and ensure proper disclosure is made.” Said Gary Bugden, Principal at Bugden Legal. We have contacted a number of insurers to get their view on how they approach concrete cancer when it is disclosed to them. Some insurers decline the policy outright, while others will look at the issue on a case by case basis. Of the insurers that consider covering a building that has concrete cancer, overwhelmingly we are told they look more favourably at buildings who can demonstrate they are being proactive about addressing the issue. Reports which outline the extent of concrete cancer & the potential risks posed from its presence. Engineering reports outlining the structural integrity of the building. Plans the Body Corporate has around rectifying the problem, with timeframes. Insurers may consider agreeing to a reasonable time to raise funds on a case by case basis, provided the wait does not significantly increase the insurance risk to the insurer. Long term plans of the Body Corporate to address the concrete cancer ongoing. Addressing concrete cancer early, despite there being short term pain will benefit all unit owners in the long run. If unaddressed, concrete cancer can render buildings uninhabitable. If your building has signs of concrete cancer and after getting advice from an engineer, we strongly recommend you seek further advice from your insurance broker or adviser about how to address this from an insurance perspective to ensure you are not exposing yourself down the track. This information is of a general nature only and neither represents nor is intended to be personal advice on any particular matter. 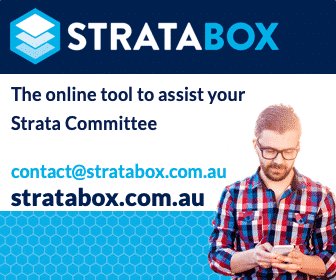 Shandit Pty Ltd T/as Strata Insurance Solutions strongly suggests that no person should act specifically on the basis of the information in this document, but should obtain appropriate professional advice based on their own personal circumstances. Shandit Pty Ltd T/As Strata Insurance Solutions is a Corporate Authorised Representative (No. 404246) of Insurance Advisernet Australia AFSL No 240549, ABN 15 003 886 687. For more information about concrete cancer in strata schemes, information particular to strata insurance or information about strata living in your state or territory, visit Maintenance and Common Property, Strata Insurance OR Strata Information Pages by State. NSW: Q&A Strata Committee Conflict of Interest Over Concrete Cancer Repairs? I have just bought a unit 1 year ago and have just found out that the top unit across from me has severe masenite(?) concrete cancer and the whole loungeroom floor and its balcony has to be taken out and replaced.. This leaves the guy below it without a ceiling thus having to move out. I am terrified that it is going to be $100,000 or more. Can you tell me if one floor like this that has to be removed completely, could be about that price? In regards to your concrete cancer concerns, without seeing your unit complex it does seem to be quite an over the top approach. In all our 33 years of performing structural concrete repairs, many of which are carried out on some very old beachfront buildings, we have never had to replace an entire floor especially to the internal side of the unit that is usually protected from the elements. This does seem quite extreme and I would suggest you engage an independent engineer to give you their professional opinion. It would be a small price to pay for something that may cost the body corporate hundreds thousands. And as for your concern, does it mean all of the units will have this problem, once again this would be very rare to have two units that have that sever concrete cancer.